Killing Floor is an acquired taste, or at least it was for me, like chugging down a bucket full of rust and blood, with accents so dodgy they’d taken on form and floated atop the grungy broth like cockney croutons. Where Left 4 Dead directs the players’ progress, toying with them, Killing Floor has the player run around in circles, waggling their most succulent parts at the mutants and freaks, encouraging pursuit. Crowd control, herding, elimination; it’s a butchery simulation with cattle that bite back. This summer’s special event, the Summer Slideshow 2012, adds new levels, enemies and guns. The trailer would have given me nightmares when I was a boy. The Tripwire guys do like a bit of seasonal celebration in their Killing Floor. This year they’re gifting us with “the Winter Weapon Pack, with seven brand new weapons complete with new achievements, free to everyone who owns the game” but there’s also an entirely new level, the Ice Cave, which you can check out for free, even if you do not own the game, thanks the free weekend on the Steam from Thursday 8th to Sunday 11th December. There’s other exciting new DLC, too, such as the Steampunk pack, which lets you dress like one of those digital distribution punks, I think. Hmm. 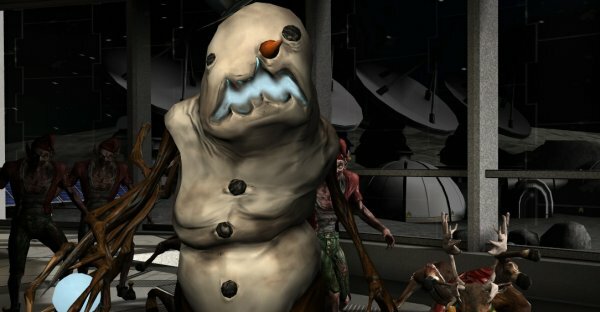 Do you want to have a crack at Killing Floor‘s frightening-looking Summer Thing but are too poor/miserly to buy the game? Well then no problem> – at least for fifteen of you – because Tripwire have sent us some keys to give away. Hooray! What you need to do is email us at this address with the reason why you are the best candidate for entering a nightmare freakshow armed with dangerous firearms. Enter by Midday UK time on Friday or LOSE OUT. Please make sure to read this, it’s the competition rules thing. Oh and I am just setting up an RPS Killing Floor server. Details to follow. 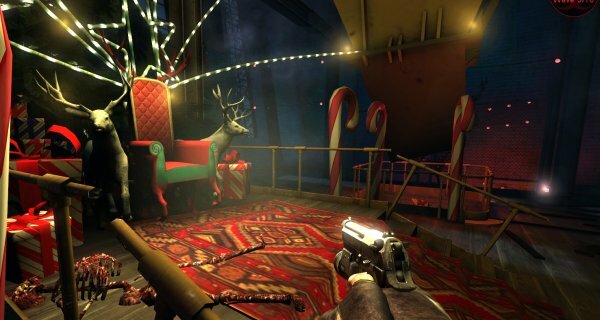 The guys at Tripwire have sent word that they’re going to be doing another Killing Floor novelty map event, like they did for last Christmas, only this time it’s a “Summer Sideshow”. What that means is they’ve poured their mapping talents into creating a grotesque freakshow, complete with ‘orrible circus variants of Killing Floor’s hideous mutants, and new unlockables and achievements. You can check them out in the trailer below. More details on the site.